Fr. Matthew Hincks, ORC:America has been plagued with legalized abortion since the early 1970's, and the demonic industry has grown to astronomical proportions. Yet there is still hope, we do not give up. 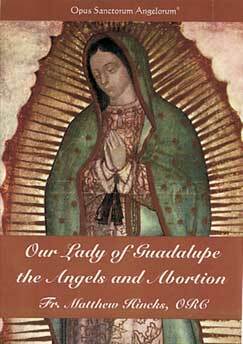 For God has given us a very special help in Our Lady of Guadalupe and the holy angels.